For its cultural history, but certainly more for its flora and fauna, the Sierra Gorda is a magical place. There is meeting of culture and nature that is unique to the region. This meeting place is constructed even as a dream: just north of Queretaro, is the site of Xilitla in the state of San Luis Potosi, Mexico, where the artist, art collector and patron Edward James (1907-1984) built his home and the surrealist garden known as Las Pozas, a construction begun in the 1940s and today open to the public. Last year, Princeton Architectural Press published Surreal Eden, a beautiful and informative book about Edward James and Las Pozas, and, today, the New York Times’ T Magazine published Dream Works, an article about the acquisition and future of this garden. 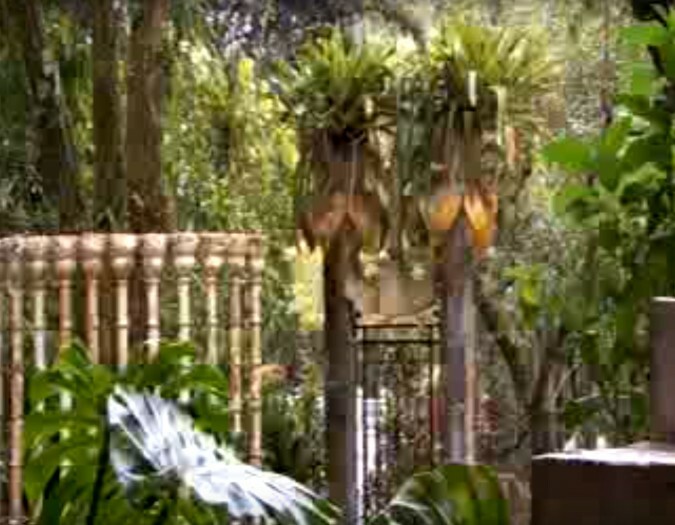 This video is a BBC documentary about Las Pozas, and one in a series of videos about extraordinary gardens worldwide.